'Three Guys' Bowl Pick? Sloppy Joes, Cuban Style Super Bowl Sunday is a time for hearty fare. The game has a Midwestern flavor (Chicago-Indy). But it's in Miami. So how about a Cuban counterpart to the Sloppy Joe? The Chicago Bears and Indianapolis Colts reach a racial milestone on Super Bowl Sunday. Brothers-in-law Glenn Lindgren, Jorge Castillo and Raul Morisay are the "Three Guys from Miami." Super Bowl weekend is a time for hearty fare. Pots of spicy chili, piles of barbecue, buffalo wings. Maybe even some Sloppy Joes. Who knows how many Bears and Colts fans are making up a batch right now? The Midwestern staple has a Cuban counterpart that's found in Miami, this year's Super Bowl city. 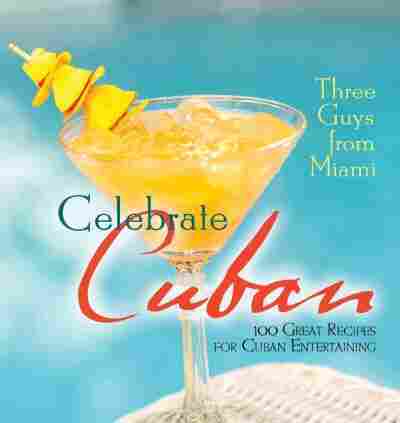 The "Three Guys from Miami" are brothers-in-law who have written books on Cuban cooking. 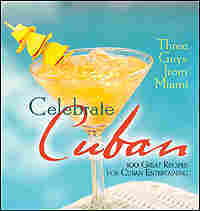 Two of them, Jorge Castillo and Glenn Lindgren, join Debbie Elliott to talk about picadillo, the Cuban Sloppy Joe. Jorge: "A picadillo is a type of hash. Picadillo literally means "minced meat." However, in Cuba it's a dish made with onions, green pepper, tomatoes and spices." Glenn: "In a Cuban household, picadillo is the equivalent of several American home-style favorites: sloppy Joes, Hamburger Helper and homemade spaghetti — all things that a mom can prepare simply and inexpensively for her family." Jorge: "Picadillo will never be considered a gourmet dish." Raul: "But never mind, I love it! It's great served over rice or in a sandwich!" 1. Sauté onion and green pepper in olive oil in a large frying pan. 2. Sauté about 5 minutes, until the onion is softened, then add the garlic and ground beef. 3. 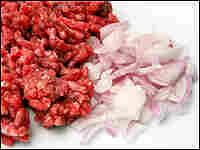 Mash the onion and green pepper into the sautéing meat and cook until the meat is browned, about 5 minutes. 4. Put everything in a crockpot set to low heat. 5. Add the tomatoes, cumin, cinnamon, cloves, oregano, olives and raisins. 6. Cover and let simmer in the crockpot for an hour or two or more. The longer it simmers, the better the flavor! 9. Cut a loaf of Cuban or French bread lengthwise, but not completely through — like you would for a hoagie. Generously butter the inside — top and bottom. If you like, toast the bread lightly on a skillet. Stuff the bread with plenty of picadillo to make a great picadillo sandwich!